One of my favorite parts of writing this blog are the requests I get for helping find dresses or accessories. So, you can imagine my thrill when I got a request from a mother-of-the-bride in New Zealand many, many time-zones away from me, asking for help with her attire for her daughter’s wedding in January (which happens to be summer over there)! 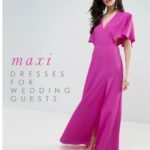 It’s exactly what I hoped I’d be doing when I started this blog – helping anyone, anywhere, find something to wear to a wedding! 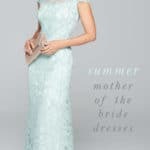 If you’re a mother of the bride looking for a black dress check out this page with black dresses for the mother of the bride gowns! 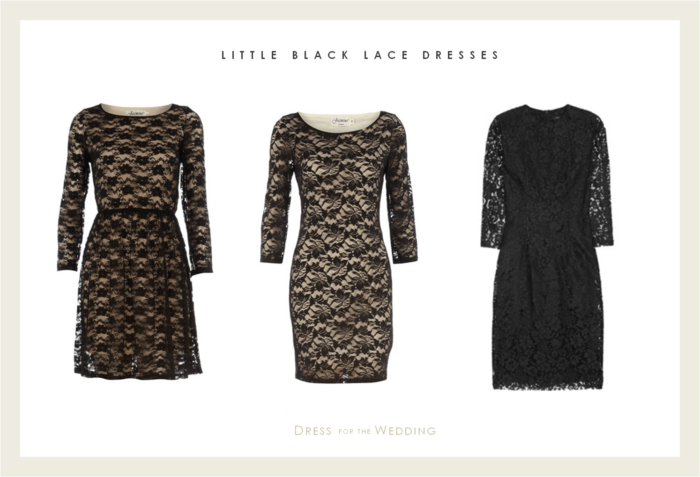 Need a little black lace dress? Nordstrom, Rent the Runway, and Bloomingdale’s always have a great selection! This mother-of-the-bride requested was some help with accessories. She wanted to add some color, but wasn’t sure how or what color to add. I think this is a common question for anyone wearing a little black dress – what can I put with the little black besides the usual black or silver staples? Sure, it’s basic black so it will go with nearly any color, but sometimes getting the balance of the accessories with the fabric or silhouette is the tricky part. This mother-of-the-bride also requested some non-stiletto type heels – either a low heel with a little more substance, and I thought perhaps a wedge would be nice as well. I’ve paired the outfits with non-stilettos, and also created this post with a bunch of shoe ideas for others who may be looking for suggestions, too. Since I want to show a whole range of colors and options because I think this is a common question, this post will be done over several days. Today I’ll start with yellow, coral, and pink. I’ll be adding pairings with red, green, silver, purple, and blue over the next few days. Stay tuned! Even with all these color options, I still think my favorite thing to pair with a little black dress is a pair of perfect black pumps, and a diamond (or crystal) necklace, earrings, or bracelet. (Just pick one or two and keep it simple and elegant! And, please remember, black lace can be tricky to wear to a wedding – make sure it’s a formal or semi-formal evening wedding. I don’t recommend black lace for daytime weddings! Shop more guest looks here. This post has affiliate links. And affiliate link means the retail sponsor may pay me a small commission if a qualified purchase is made.